Use this form for non-urgent appointments only. Please choose your primary contact. Hold the control key down when selecting exams, if more than one is needed. Please choose all exams needed. Please select your preferred day for the appointment. Larchmont Medical Imaging will not be held responsible in the event your electronic message is not transmitted due to technical problems related to this site or to the hosting server. All personal identifying information is encrypted and your message will not be internally or externally forwarded to other parties. 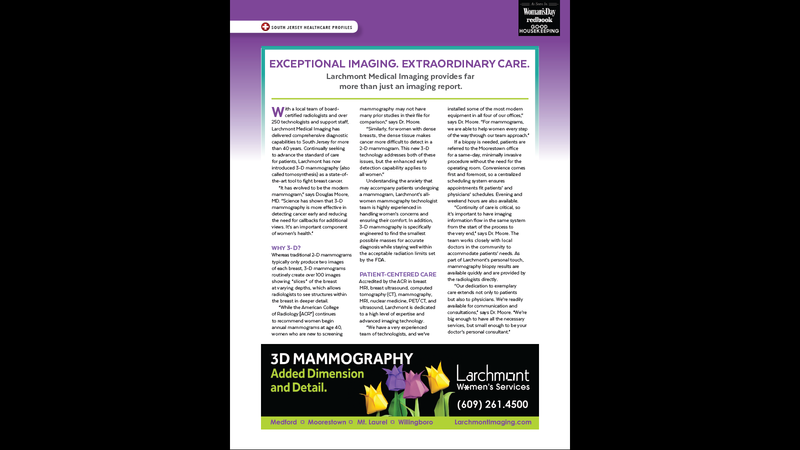 The information will solely be used by Larchmont Medical Imaging. If you do not accept the terms of this disclaimer, you will not be able to process your request online. Please check the box that you agree to the terms and conditions stated on the online form. Your request will be processed within 24 hours, during normal business hours, Monday - Friday, 8:30 a.m. to 5:00 p.m., excluding holidays. If you do not hear from us within that timeframe, or if you have questions, please contact our Scheduling Department at (609) 261-4500 x1.